Yesterday was the start of the Philly Beer Week. It is 10 days of a celebration of the best beer drinking city in America. It began in 2008 and a bunch of scheduled events ranging from tastings, tours, dinners, meet the brewers, etc. during that period. More than 30 brewers from across the country participate so if you are in the area…why not participate? Check out their website, http://phillybeerweek.org/, for more info. 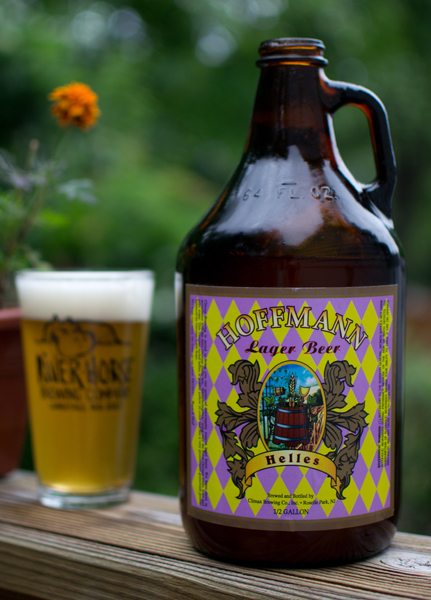 Beer #188 is Hoffman Helles by Climax Brewing Company from Roselle Park, New Jersey. In a word…yum!!! This is one of my favorite summertime beers. It quenches my thirst on a hot summer day. Very easy to drink so much so the growler empties itself all too quick. The low ABV makes this a great selection for a session brew. The only knock I have is that this is only available in growlers…which means the whole half gallon must be enjoyed fairly quickly…then again…maybe that isn’t such a bad thing!